The University of Calicut Or Calicut University, second university to be set up in Kerala, came into being in 1968 with the objective of developing human resources in the northern districts of Kerala by extending the reach of higher education and by promoting research in all areas of development with particular emphasis on technology, art and culture of Kerala. Its 31 post graduate departments and 304 affiliated colleges has now facilitated lakhs of young men and women to benefit from higher education. The University campus, located at Tenjipalam in Malappuram district, 24 km south of Calicut city, is the main hub of academic activities. In addition to the office of the Vice-Chancellor, the University administration, Pareeksha Bhavan, School of Distance Education, Academic Staff College, Educational Multimedia Research Centre, Computer Centre, University Library and other central support and service units, 21 post graduate departments of teaching and research are housed on the campus. These are the Departments of Arabic, Botany, Biotechnology, Chemistry, Commerce & Management Studies, Education, English, Hindi, History, Mass Communication & Journalism, Life Science, Library and Information Science, Malayalam, Mathematics, Philosophy, Physics, Physical Education, Psychology, Russian, Sanskrit, Statistics, and Zoology. There are 304 colleges affiliated to the University. Of these, 83 are located in Kozhikode district, 72 in Thrissur, 82 in Malappuram, 50 in Palakkad and 10 in Wayanad district. Among these, there are 123 Arts and Science Colleges, 61 Training Colleges, 30 Engineering/Technical Colleges, 7 Medical Colleges, 3 Para Medical College, 6 Ayurveda Colleges, 2 Law Colleges, 23 Arabic/Oriental Title Colleges, 11 I. H. R. D. centres, 4 Management Studies Colleges, 1 Music College, 1 Fine Arts College, 1 College of Physical Education, 20 Nursing colleges, 7 Dental Colleges, 9 Pharmacy colleges, 1 Homoeopathy college and 2 colleges for Hotel Management. The University has set up extension centres at Thrissur, Calicut and Vatakara. The centre at Thrissur is named after the renowned economist late Dr. John Mathai. Located here are the Department of Economics and the School of Drama & Fine Arts. At the Vatakara Centre, the University has set up two post graduate departments of studies and research. These are: the Centre for Folk Lore Studies and the Kunjali Marakkar Centre for West Asian Studies. The University has introduced integrated M.Phil/Ph.D programme from 2004-05 academic year. To meet the demand for trained professionals in the emerging areas, the University has launched new programmes in computer application & information technology, health sciences, fashion design, social work, printing technology, computer hardware and automobile engineering. Yet another effort in this direction is the establishment of the University Institute of Engineering and Technology, near the university campus. The Institute offers B.Tech courses in electronics and communication, printing technology, electrical and electronics and IT streams. 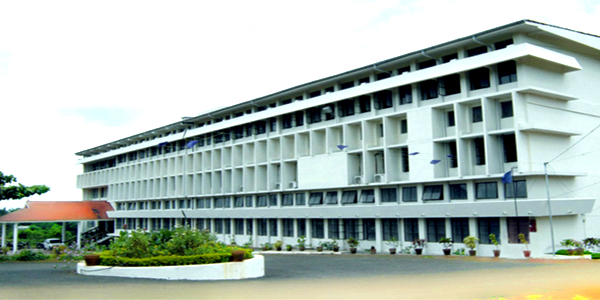 Established in 1968, Calicut University has emerged the largest University in Kerala with 25 Departments of postgraduate studies and research, under its direct control and 191 affiliated colleges spread across the five northern districts of Kerala–serving about 2.75 lakh students every year. The University of Calicut came into being as a result of the efforts of the leaders like C.H. Mohammed Koya, C. Achutha Menon, and K.P. Kesava Menon. With the encouragement of the then Kerala Chief Minister, E.M.S. Namboodiripad, C.H. Mohammed Koya the then Kerala Education Minister constituted a twenty-two member committee of experts to make a pilot study on establishing new universities in the State. The Committee headed by Prof. Samuel Mathai, the then Vice-Chancellor of Kerala University, consisted of eminent educationists and public figures such as K.P. Kesava Menon, P.P. Hassan Koya, P.K. Abdul Gafoor, P. Govinda Pillai and K.C. Chacko. After several rounds of meetings, the Committee in its report unanimously recommended the immediate establishment of a University in Calicut to organise post-graduate departments of studies and research and to affiliate colleges in the northern districts. Before long C.H. Mohammed Koya appointed K.C. Chacko, Director of Technical Education as the special officer and M. Abdul Rahim, Municipal Commissioner, as administrative officer for the formation of the University at Calicut. On July 23, 1968 C.H Mohammed Koya obtained an Ordinance on creating the University. Thus came into being the University of Calicut. K.C. Chacko, Special Officer, was appointed the first Pro-Vice-Chancellor of the University; the University was formally inaugurated at a public function on August 12, 1968; the Calicut University Bill was passed by the State Legislative Assembly on August 29, 1968; and statutory bodies such as the Senate, Syndicate, Academic Council, Faculties and Boards of Studies were constituted. On May 31, 1969 Dr. M.M. Ghani, Director, Regional Institute of English, Bangalore, assumed office as the first Vice-Chancellor of the University. The immediate requirements of buildings for the university offices, teaching departments and hostels were met speedily. The Vice-Chancellor’s office temporarily located at the Government Polytechnic, Kozhikode was shifted to the campus in October 1969. By June 1970, the four teaching departments of Botany, Chemistry, History and Zoology were shifted to the campus. In that year, quite a few of the teachers, students and administrative staff took up residence on the campus. In the subsequent years, the University made commendable progress on all fronts under the leadership of its successive Vice-Chancellors – Dr. Noor Muhammad, Prof. K.A. Jaleel, Dr. T.N. Jayachandran, Prof. T.K. Raveendran and Dr. A.N.P. Ummerkutty, Prof. K.K.N. Kurup and Prof. Syed Iqbal Hasnain. The Fifth Plan period in particular, remains an important phase in the development history of Calicut University. A major development in this period was the establishment of nine new Departments, seven with UGC assistance and two with the University’s resources. These were: the Departments of Economics (at Thrissur), Mathematics, Psychology, Philosophy, Mass Communication and Russian in 1976; the Department of Sanskrit and the School of Drama (at Thrissur) in 1977; and the Departments of Library and Information Sciences, and Life Sciences in 1978. The second most important development was the launching of M.Phil courses in Hindi, Malayalam and History in 1976, Arabic in 1977 and Physics in 1980. The first M. Phil programme to be launched by the University was English, in 1975. By the end of 1980, the administrative office and the Science departments of Botany, Chemistry, Mathematics, Physics and Zoology had been moved into permanent buildings. The University opened two new departments during the Seventh Plan period. The first one was the Department of Anthropology at Tellicherry in 1986 and the Department of Statistics in 1988 by bifurcating the Department of Mathematics. Now, the University has 191 affiliated colleges. Of these, 95 are arts/science/IHRD colleges, 22 engineering colleges, 20 Arabic colleges, 20 training colleges, 12 nursing colleges, 8 pharmacy colleges besides 5 medical colleges, 4 Ayurveda colleges, 2 Dental colleges, 2 law colleges and 1 Homeo College. The distribution of these colleges in fairly even in the five districts which are under the jurisdiction of the University. The district wise break up is: Kozhikode – 52 colleges, Thrissur – 52 colleges, Malappuram – 53 colleges, Palakkad – 29 colleges and Wayanad – 5 colleges. C. H. Mohammed Koya Library: Calicut University Library, established in 1971 and later renamed after C.H.Mohammed Koya, is primarily concerned with the conservation and dissemination of knowledge to its users. It plays an important role in the provision of information to the academic community in the Malabar region. It has a collection of about ninety five thousand books and subscribes to 218 Journals and 10 Newspapers. It has the distinction of being the first fully automated University Library in the State. The library is situated at the main campus at Thenjippalam. Apart from the University Library a Study Center Library is functioning in the Calicut city to serve the academic community in the Calicut city and around. The library provides Book lending services, Reference services, Internet services, Information services and Reprography services. Seminar Complex: The Seminar Complex, located on the main campus of the University, is a multi-conference facility. Built to commemorate the silver jubilee of University in 1993, the Complex resembles a bird in flight. The complex has a main air-conditioned Seminar Hall and a large lobby area and on either side of it are two small Conference Halls. The Seminar Hall with 400 seats has been recently air-conditioned, acoustically treated and provide with a centrally controlled audio system. This spacious and well-equipped facility is well suited for the conduct of conferences, conventions and cultural programmes. The hall can also be used for screening Films. The facility is available for educational institutions and NGOs for the conduct of seminars, symposia, conventions and conferences. Madhava Observatory: The Calicut University Observatory, the first of its kind in any University in the State was opened on August 7, 2005. Prof. Naresh Dadhich, astronomer and director of Inter-University Centre for Astronomy and Astrophysics (IUCAA), Pune, inaugurated the observatory which is named after Madhava, the great astronomer. Set up in association with the Indian Institute of Astrophysics (IIA), Bangalore, the Observatory is the largest at the university level in the country. The 6.6 diameter hemispherical steel dome of the observatory was designed by the IIA and fabricated by a Bangalore-based company. The observatory has already become popular, courtesy the lightweight structure and cost-effective design of its dome. The special, thin imported sheet used for dome cladding in place of the heavy iron sheet or costly aluminium sheet has reduced the weight by one-seventh of a conventional dome. Viewers can first enjoy the splendour of the sky with their naked eye from the catwalk or the ring outside the dome. After identifying a particular star or planet, they can turn the telescope to that direction. Botanical Garden: Established in 1971, the Calicut University Botanical Garden (CUBG), founded by Prof. (Dr.) B.K. Nayar, former Head of the Department of Botony, has developed into an excellent centre of biodiversity and ex-situ conservation of tropical Indian flora and exotic species. The Garden was inaugurated in 1972 by Prof.R.E.Holttum, former Director of Singapore Botanical Garden. In 1985 the CUBG has achieved international status when it was recognized by the International Consortium of Botanic Garden and Centre for World Conservation Strategy. At the entrance on the western side, the visitors are greeted by a display map and two Krishna’s buttercup trees (Ficus krishnae). Next is the Garden reception office & Museum where the details of the garden are available to the visiters. U G C Info-Net: UGC Info-Net is the ambitious project launched by UGC to provide electronic access over the Internet to scholarly literature in all areas of learning to the higher education sector of the country. The E-Journals programme is the corner stone of the UGC Info-Net effort which is aimed at addressing the teaching, learning, research connectivity and E-governance requirements of the Universities. This noble venture is executed by the Information and Library Network Centre (INFLIBNET), Ahmedabad. The University is getting direct access to the resources of the publishers through the IP addresses enabled access. The centre functions from 8 A.M. to 8.30 P.M. on all normal working days. Article Delivery Service: INLIBNET has initiated interlibrary loans and document delivery services from the comprehensive collection of subscribed journals under JCCC@UGC- INFONET. ILL is also known as Inter-Library Lending. INFLIBNET has designated 22 libraries to fulfill ILL request from the users, affiliated to 149 universities covered under UGC. The ILL libraries together subscribe for 2000 plus journals that is not available through consortia. Universities can request for articles from the journal holdings of those libraries wherever they find useful articles in JCCC search, that are not available in that library. Students’ Trap: Developed around the concept of encouraging students to get together, express their talents and to share their thoughts informally among themselves, the Students’ Trap on the main campus at Thenjipalam is the centre of campus life activities. A beautifully laid out open space between the C.H. Mohamed Koya Central Library and the University Park, it has all the facilities for a meaningful, free time hang out, a books and souvenir shop, cyber spot and a cafeteria. Book Shop: The Book Shop is run by the University Publication Division. Titles by all leading publishers are available here. Also, souvenirs, posters that depict the cultural and historical heritage of Calicut and Malabar, and stationery items are sold here at attractive discount. This is also where the University Book Club, an informal forum of the campus book-lovers organises book talks and readings. Established in 1981, the School has emerged as a major distance education provider in Kerala. Annually about 30 thousand students enroll for the programmes of the school available under two streams–Regular and Open. Regular stream courses are meant for those who wish to pursue their studies though distance education mode provided they satisfy the conditions prescribed for admission to the graduate and postgraduate programmes offered in colleges affiliated to the University. Open stream courses are tailored to meet the educational needs of those who have not acquired the basic qualification needed for admission to regular courses. All those who attain the age of 18 years on July, in the year of admission are eligible to seek admission to open stream courses However, such candidates must appear for an entrance examination conducted by the school and secure a minimum of 35% mark. Currently, the school offers 16 graduate courses, 13 postgraduate courses and two diploma courses. Students admitted to these courses are provided printed study materials. All students are expected to attend contact programmes and training sessions arranged regularly at notified centres. The School has approved 18 educational institutions in different States of India to enroll students for various courses offered by the School. Also, the School has six approved overseas centres at Sharjah, Abu Dhabi, Doha, Kuwait and Bahrain. This web portal is an initiative of the University of Calicut to help all its students to search for jobs and manage their careers. It also helps recruiters to identify the right candidates for their manpower requirements. The University turns out a large pool of talent every year. Over a hundred thousand students pass out each year in diverse branches of learning like engineering, IT/computer science, management, core sciences, humanities, commerce, health care, pharmacy, media, travel & tourism, economics, hotel management, catering science, etc. This portal offers free registration to recruiters and job aspirants. Since, the web portal enables registered recruiters to access a large database of registered candidates (graduates, post graduates and Doctorates of the University and its 380 affiliated colleges), the recruiters can search availability of candidates with the required competence and schedule their visits to the campus for recruitment and selection. The University believes in creating lasting relationships with corporates and other recruiters. The Placement Cell of the University is entrusted with the responsibility of serving both the job seekers and employers. The Placement Cell will also offer awareness and competence building programmes for the job seekers. It will also be a conduit for changes in curricula and pedagogy on campuses based on the feedback from and the demands of the industrial and service sectors.